DoctorPC is the PUP that uses misleading techniques to prevent removal. Use Reimage to locate malicious components and get rid of them faster than with uninstall instructions. A full system scan blocks virus reappearance and prevents traffic to malicious domains. 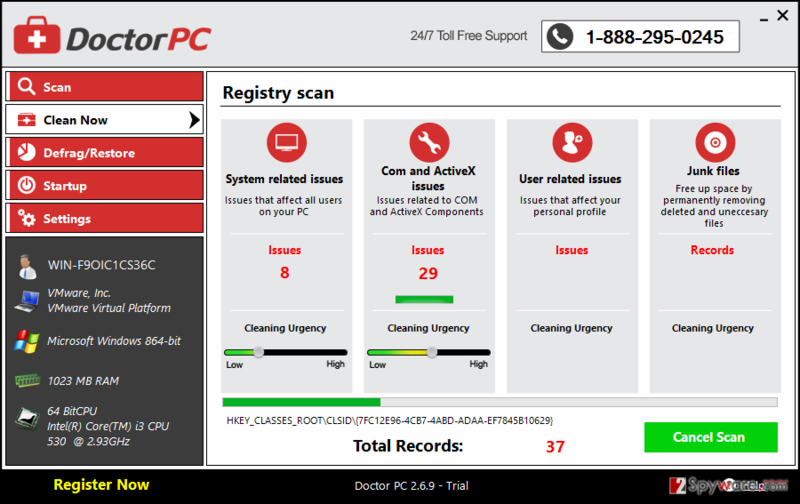 How can DoctorPC appear on my computer? How to remove DoctorPC virus? DoctorPC is a questionable program, which is presented as a powerful PC optimization tool. Before you fall for such cheap marketing tricks and download this program to your computer, you should know that this application can hardly increase its speed or improve its functionality. In most of the cases, it just causes annoying pop-up ads that are displayed just for pushing people into purchasing its licensed version. Please, think twice before entering your credit card details and paying for DoctorPC license because you can be left with nothing. We say so for a simple reason – this suspicious PC optimizer may simply stop showing you its exaggerated scan results after you purchase its licensed version. As soon as the trial version of this program enters computer, it starts showing its questionable scanners that are filled with a long list of bad registries, stability programs, dangerous files, etc. No matter how trustworthy they look, you should be very careful with them because may be filled with invented issues. This is done for a simple reason – trying to push people into purchasing a fake licensed version. Please, do NOT do that because you can not only lose your money for nothing. You can also reveal your credit card details and other sensitive information for scammers. 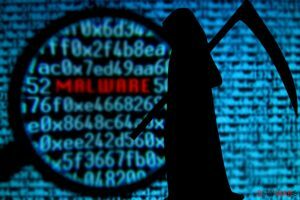 If you really want to double check your PC system and get rid of malicious files that are or may be hiding in it, you should use reputable applications, such as Reimage. Also, we should add that you should be careful with all PC optimizers because they can hardly increase the speed of your computer. In order to do that, you need to remove thousands of registry entries, not several hundreds that are usually reported by Doctor PC. Just like any other PC optimizer or security program, DoctorPC may start showing its alerts about bad registry files out of nowhere. That's because it is mostly promoted via misleading alerts offering people to check their computers with some free scanner. If you have just clicked an alert offering you to do so for free, there is no surprise that DoctorPC is now offering you to purchase its license. In addition, this program may try to infiltrate your computer via freeware and shareware because here it may be hidden in 'optional components'. For protecting yourself from this or other unexpected downloads, make sure you start monitoring installation of every freeware. The easiest way to do that is by selecting Custom or Advanced installation of the freeware. Once you do that, make sure you carefully follow every installation step and opt out of suspicious browser add-ons, extensions, toolbars and such suspicious PC optimization tools. Once this program enters computer, it modifies some of their settings and then starts showing its scanners or alerts. In most of the cases, it does that as soon as user reboots his/hers computer. If you have already been suffering from DoctorPC virus and alerts that it causes, please rely on a guide below below. Choose 'DoctorPC' and select the 'Uninstall/Change' option. This entry was posted on 2015-02-19 at 05:36 and is filed under System tools, Viruses. You can quickly scan the QR code with your mobile device and have DoctorPC manual removal instructions right in your pocket. How did you remove DoctorPC?